I’m such a bad friend. I’m finally sharing my review of Caitlin, Nabil & Diane’s cookbook, Mediterranean Paleo Cooking (just 3 months late). Caitlin & Nabil started this cookbook as an ebook, what feels like years ago. I shared my excitement on Facebook about the Paleo pasta recipe from the ebook and you all went wild! 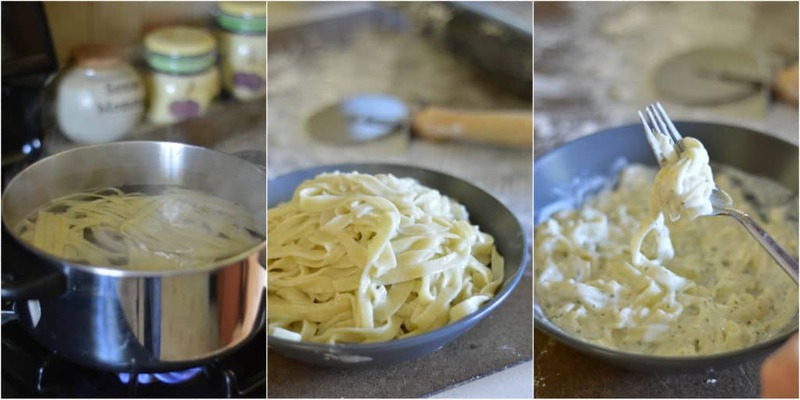 Since then this Paleo pasta recipe has been tweaked for the print cookbook. I lived in Caitlin’s house in Nashville, TN for 4 months over the summer I got a glimpse of what writing a cookbook entails. It’s a juggle of reworking recipes based on recipe test taster’s feedback, editing the chapters over and over again, reshooting pictures, somehow finding time to run your blog and planning an epic book tour. I would always say to Caitlin, I don’t know how you do it. You make it look so easy. While I’m over here having a meltdown over one picture for my cookbook. The work that was put into this cookbook is evident. Flip to any page and you will see like 5 versions of a recipe that is based on your needs: AIP, FODMAPS, low carb… Each alternation was tested. I got to taste test a few of the AIP and low carb versions! Caitlin would show up at the house with bags of goodies from the dessert chapter all the time. The best was when she kept making pizza from the cookbook for me!!!! Those were the days…. Caitlin Week’s new book is full (and when I say full I mean full!) of wonderful Paleo friendly recipes. 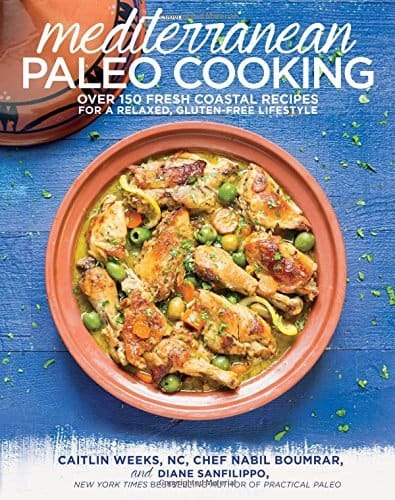 Not only are there a lot of recipes in this book but it is also filled with helpful tips when it comes to Paleo cooking and where to get great ingredients. All in all you are bound to love these wonderful and new Mediterranean Paleo recipes. Here is one to get you started. These cookies are based on a recipe Cailtin saw in an Algerian cookbook and then re-created to be Paleo-friendly. 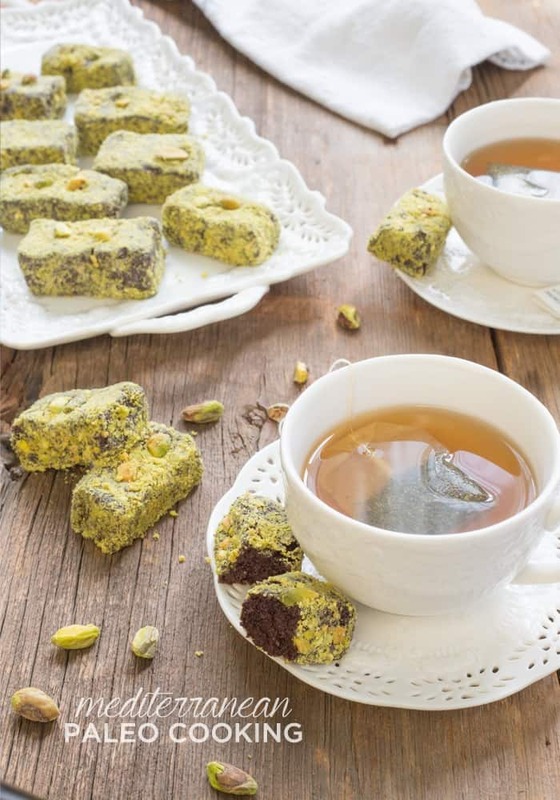 They combine the richness of dark chocolate with the buttery taste of pistachios. In a saucepan over medium heat, warm the coconut milk for 3 minutes. Add the chocolate and fat to the pan while stirring. Continue stirring and heating the mixture for 2 minutes. Remove the saucepan from the heat. Stir in the eggs and lemon zest and stir for 1 minute. Put the saucepan back on the burner, still over medium heat, and add the coconut sugar, almond flour, cocoa powder, and vanilla. Stir the mixture well for 2 minutes and then remove from the heat. Let the chocolate mixture cool for 15 minutes. Form the chocolate mixture into 1-by-2-inch rectangles with your hands and then cover them liberally with chopped pistachios. Place the squares on a platter and let them chill in the refrigerator for 1 hour before serving. low fodmap Follow lower carb directions. Use cashew meal in place of the almond flour. Use chopped walnuts in place of the pistachios. lower carb Use unsweetened baking chocolate with 100% cacao instead of 80%. Use 2 teaspoons stevia extract powder in place of the coconut sugar. Add 2 eggs and 1/3 cup coconut milk. This recipe sound chocolaty amazing!! Can’t wait to give this a try. That recipe looks super good 🙂 I have a copy of the book sitting on my bookshelf – clearly I need to try more recipes from it!